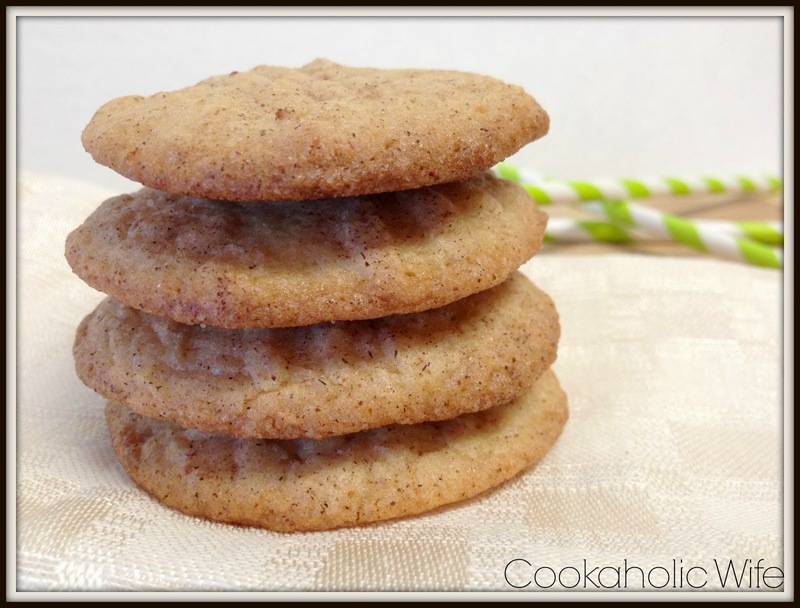 You’d never know it, but snickerdoodles are my favorite cookies. Soft pillowy cookies of cinnamon sugar goodness. You really can’t go wrong with that combination. Unless you are me trying to make them. I don’t know why, but these cookies and I are just not friends. For the past 5 years I’ve tried making these cookies every time around Christmas. Every single time I’ve had the cookies melt into one large baking sheet full of a cookie. I’ve used salted butter and unsalted butter. I’ve made the cookies directly after mixing the dough. I’ve tired refrigerating it. Nothing fixes this issue. Except peanut butter, apparently. I wasn’t planning on making snickerdoodles in any variety for this baking season, but then I saw a peanut butter recipe and figured, hey maybe one last ditch effort at making this cookies will prove to be successful. Who woulda thought?! 1. Preheat oven to 350. Line baking sheets with parchment paper. 2. In the bowl of your stand mixer (or with an electric mixer) cream together butter, peanut butter, sugar and brown sugar until smooth. Add in eggs one at a time, followed by vanilla. 3. Meanwhile, combine flour, baking powder and salt together in a bowl then slowly pour into wet mixture until fully combined and a dough has formed. 4. Stir the sugar and cinnamon for the coating together in a small bowl. Scoop balls of cookie dough (around 1 inch balls) and roll in the cinnamon sugar. Place on the prepared baking sheet and create a criss-cross pattern using a fork. 5. Bake cookies for 10-12 minutes or until lightly golden brown. Cool slightly on the baking sheet before removing to wire racks to continue cooling. The only difference between this recipe and the cookies I made is I left the dough in the refrigerator overnight, only because I mixed it up too late to bake the cookies that evening. 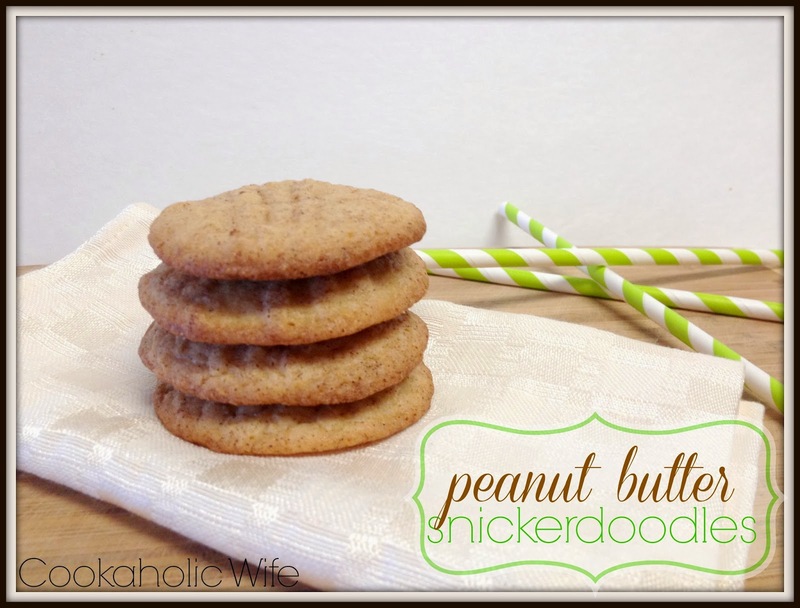 I am so glad I finally found a way to make Snickerdoodles, even if it does involve peanut butter.